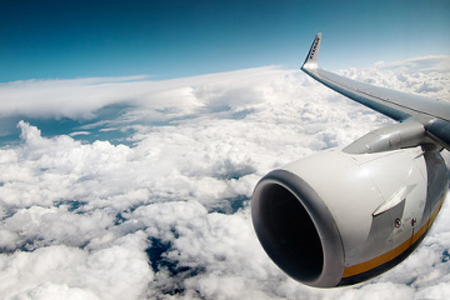 Jet fuels are used in aircrafts powered by turbojet or turboprop engines. They consist of hydrocarbons (paraffins, cycloparaffins, olefins, naphthenes and aromatics) and additives such as corrosion inhibitors, anti-icing additives and antioxidants. These additives depend on the intended use of the jet fuel, i.e. for civil or military aircrafts, for different climates or for special applications. Wide-cut fuels are a blend of kerosene and naphtha fractions. Why measure the viscosity of jet fuel? While several parameters of jet fuel are measured to define its properties, its kinematic viscosity is determined mainly for safety reasons. Nozzles producing a fine spray of droplets inject the jet fuel under high pressure into the combustion section of a turbine engine. If the fuel's viscosity is too high, the droplet mist is not fine enough, which can cause problems when relighting the engine in flight.